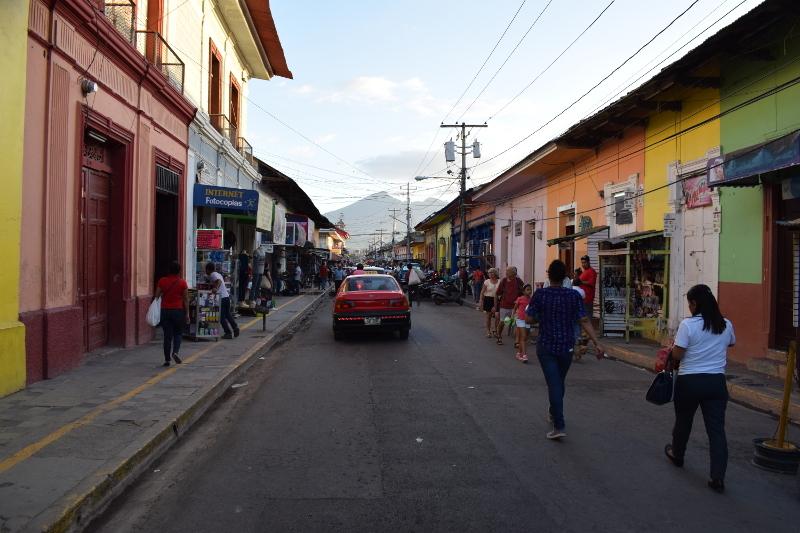 Nicaragua is the first Latin American country I have visited in which I relied even somewhat heavily upon private car service to get around, as opposed to public buses, colectivos, Uber, taxis, or whatever other forms of transportation are potentially available in any given place. I didn’t plan it that way, but that’s how it worked out, and I’m glad for it. On a lark, I contacted a Nicaraguan through WhatsApp prior to my arrival after coming across his number on a TripAdvisor forum thread. Contacting Servicio de Carro “Marcos” and utilizing car service in Nicaragua to get around some would end up being a great decision and would help shape the tone of the trip in a positive way right from the get go. I knew I was going to be attempting to cross the border between Costa Rica and Nicaragua on a Saturday night on foot. Having never done it before, and with a lack of info out there on the interwebs – including how late one can cross, how to get to the crossing by bus, and so on – I felt fortunate enough to happen upon a discussion on TripAdvisor in which one of the users disclosed the phone number of a Nicaraguan driver she trusts to cart her around when she’s in the country. Now, after having had personal dealings with that individual, I can see why she relies on him. I contacted Marcos Peralta from the US ahead of my trip to Nicaragua utilizing WhatsApp. He was incredibly responsive and priced out a trip from the Nicaraguan side of Peñas Blancas to Playa Gigante, a distance approaching 70km according to Google Maps. With the initial details arranged, I would end up messaging with him from Costa Rica once there in preparation for our meeting in Nicaragua later. 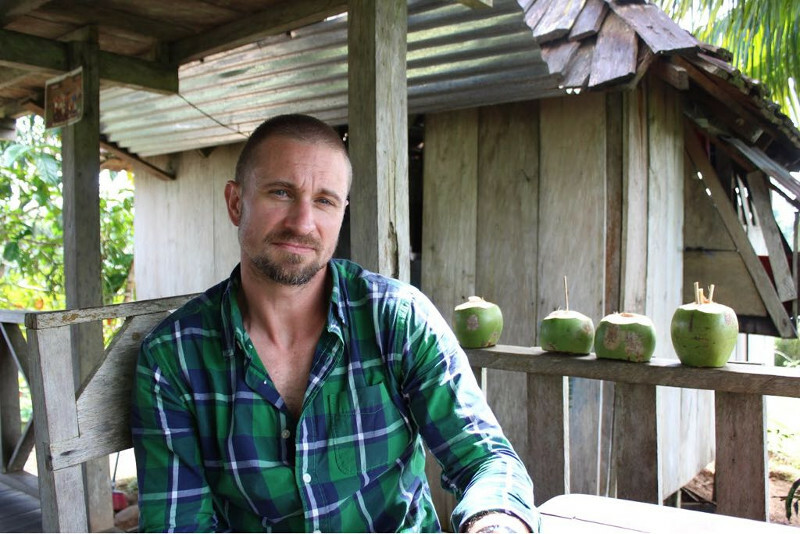 Ultimately on Saturday, the day of, I would end up messaging with Marcos while busing it from San José to Liberia, then Liberia to Peñas Blancas on the Costa Rican side, then successfully crossing the border on foot (more on that in another article). Things went off without a hitch, and with a photo that he sent me ahead of time and one I sent him, we were able to identify each other once I was finally through the various checkpoints and in Peñas Blancas, Nicaragua. By that point, again a Saturday night around 8pm when all was said and done, there were no more buses running for the evening. Uber does not operate in Nicaragua at all. There were some taxi drivers about, but suffice to say I was glad to have already sorted out my transportation. It was a relief to be able to toss my bags in the car and sit back and relax after a really long day of travel that began before 5am. Marcos took off down the highway and I got to begin taking in the country. We would have some interesting conversation during that drive and he would get me safely to my cabaña in Playa Gigante. I would end up scheduling two more trips with Marcos: one to get me out of Playa Gigante and to San Jorge for the ferry to the island of Ometepe, and one to transport me from San Jorge on up to the colonial city of Granada. After that, I’d be renting a car to help me get to my remaining destinations. I was short on time. Unfortunately, I didn’t have as much time as I would have liked in Nicaragua – only about ten days. Additionally, I was going to be changing locations every two nights or so. Car service would enable me to do that and still cram quite a bit into my itinerary. The alternative would have been to take the local chicken buses (after figuring them out), on their schedule, and give up some of my itinerary in the process. I wasn’t willing to do that this time around. I wasn’t interested in caring and paying for a rental car the whole time. There would be days I wouldn’t be moving around and destinations that weren’t that conducive to being saddled with the responsibility of having one. With car service, I didn’t have to be. Flexibility was important, including the ability to move about at odd hours or to make stops, like at a bank or grocery store. If I had been able to dedicate my typical three-week expedition to Nicaragua alone, I probably would have jumped on quite a few more buses and I’d recommend doing that to anyone with the time and interest. As it was, though, my experience with the buses in Nicaragua remained limited to those on Ometepe, and they were great. However, I feel lucky to have made Marcos’s acquaintance. He helped make the beginning of my time in his country smooth, and that carried me through the rest of my visit. What’s more, by the time he showed up for our second trip together, I realized that he is incredibly responsible, efficient, punctual, courteous, and professional by any standards, no matter the country or culture. He is the kind of person that you want to hire and pay for his time and labor, doing things the way they ought to be done; it’s just that simple. I envision him running a fleet of vans one day, but for now, it’s just him and his car. Marcos services the border and areas to the north in the western half of Nicaragua, although I get the feeling he might consider any proposed trip. As his pricing is highly dependent upon conditions on the ground, I will refrain from posting what I paid him for the trips I took. You’ll have to settle that with him directly.